Did you see Sara Ruffin Costello's piece in the WSJ recently on the trellised conservatory in her New Orleans Gothic Revival home? 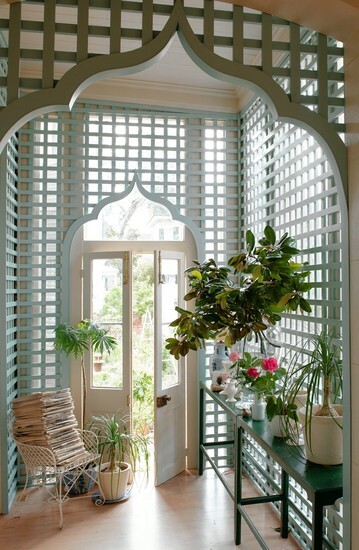 She replaced the aging latticework with new and added a Moorish arch above each door. What a great idea! Decorative and useful. Gorgeous! Love the shape of the archway. SO FRESH! Gorgeous! Love the shape of the archway. SO FRESH!! !